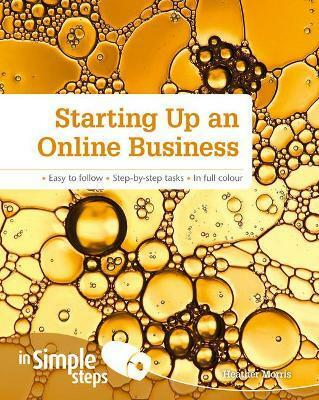 This book is for those either starting a small business online or for an existing business owner looking to reach the growing number of online shoppers. It outlines basic business strategies, tools and resources needed to run a business online in addition to the security considerations and legal obligations for small businesses. Readers will learn how to build and manage a website from scratch with an emphasis on using an all-in-one Internet and web hosting service to create a secure and easy-to-navigate e-commerce site. As online marketplaces continue to be a good platform for existing and new business people to market and sell products, ebay.co.uk and Amazon.co.uk marketplace are explored in two separate chapters. 5. How do I link my social media sites to my main website? 6. Can I use my website email address with Outlook? 7. How can I allow customers to pay over the phone? 8. Can I list products on eBay through my website? 9. How can I protect my business from online fraud? 10. How do un-publish my website after I hit publish on GoDaddy?